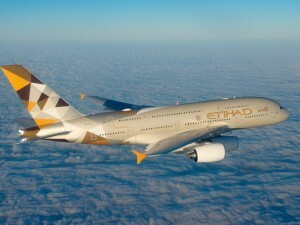 Etihad Airways is set to operate Airbus A380 on its daily service linking Abu Dhabi and Seoul, effective July 1, 2019. The South Korean capital’s Incheon Airport now joins London Heathrow, Paris Charles de Gaulle, New York JFK and Sydney as a destination served by the airline’s award-winning aircraft. Robin Kamark, Chief Commercial Officer, Etihad Aviation Group, said, “Since the launch of our services to Seoul Incheon in December 2010, the route has proved tremendously successful and we have welcomed over 1.2 million guests on our flights to and from Korea since then. This reinforces the strong ties between the two countries and the importance Etihad continues to place on the Korean market. The introduction of Airbus A380 will provide guests with the most revolutionary in-flight experience. The Etihad A380 embodies our ‘Choose Well’ brand promise perfectly, offering every type of traveller a flying experience tailored to meet their requirements and to capture their imagination.” Etihad Airways’ 486-seat A380 will provide customers on the route with new in-flight experiences such as The Residence, a luxurious three-room cabin which can accommodate two guests in complete privacy and nine private First Apartments. The double-decker aircraft also boasts 70 Business Studios and 405 Economy Smart Seats. This includes 80 Economy Space seats with a seat pitch of up to 36 inches. 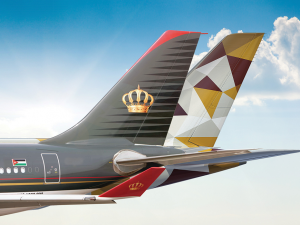 Etihad Airways has launched its first-ever scheduled flights from Abu Dhabi to Barcelona. The inaugural flight recently departed Abu Dhabi with a special delegation including dignitaries, media representatives and senior members of the airline’s management team. 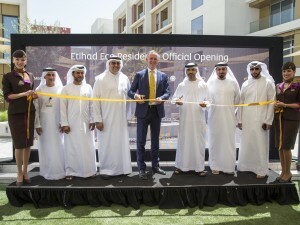 Tony Douglas, Group Chief Executive Officer, Etihad Aviation Group, said, “There could not have been a better time to arrive here than the month when Etihad celebrates its 15th anniversary. Commercial and cultural links between the UAE and the Catalonia region are flourishing and Etihad is honoured to play a pivotal role in facilitating and enhancing the growth of trade and the strong demand for tourism. This is a breathtakingly beautiful part of the world, with something to offer the most discerning of travellers, and now for the first time, Abu Dhabi is accessible from Barcelona with regular non-stop flights. On behalf of the Etihad Aviation Group, I extend our sincere thanks to the Barcelona Air Route Development Committee for their invaluable support with the new service.” The number of visitors from the UAE to Spain has been rising rapidly, thanks in part to a successful Schengen visa waiver programme introduced for UAE nationals in 2015. The new route will initially be operated five times a week by a two-class Airbus A330-200 before becoming a daily operation from March 31, 2019. Etihad Airways and Saudia have announced a new codeshare partnership, providing customers with access to more than 40 leisure and business destinations in the home markets and across the world. The two carriers also announced plans for greater commercial cooperation in other fields, including frequent flyer programme benefits, cargo and engineering, and maintenance. The codeshare agreement was signed at Saudia headquarters in Jeddah by HE Eng Saleh bin Naser Al Jasser, Director General Saudi Arabian Airlines; Tony Douglas, Group Chief Executive Officer, Etihad Aviation Group. They were joined by Jaan Albercht, Chief Executive Officer, Saudia; Ahmed Al Qubaisi, Senior Vice President – Government & International Affairs, Etihad Aviation Group and Ali Saleh, Vice President Alliances & Partnerships, Etihad Aviation Group. HE Al Jasser said, “The new partnership broadens aviation and transport links with the United Arab Emirates, building on the extensive aviation investment and strong foundation in the sector. The added network coverage enables our guests to benefit from added flexibility and convenience, as well as increase the benefits for members of both airlines’ frequent flyer plans.” The codeshare agreement will see Etihad Airways place its ‘EY’ code on Saudia’s flights to Abha, Al-Baha, Alula, Arar, Bisha, Dammam, Dawadmi, Gassim, Gizan, Gurayat, Hail, Hofuf, Jeddah, Jouf, Madinah, Qaisumah, Rafha, Riyadh, Sharurah, Tabuk, Taif, Turaif, Wadi-Ad-Dawasir, Wedjh, Yanbo and Abu Dhabi. Port Sudan, Tunis, Alexandria, Sharm el-Sheikh, Multan and Peshawar are subject to government approval. At the same time, Saudia will place its ‘SV’ code on Etihad flights to Baku, Chengdu, Ahmedabad, Nagoya, Tokyo-Narita, Dammam, Jeddah, Madinah, Riyadh, Belgrade, Seychelles, Chicago-O’Hare and Abu Dhabi. Etihad Aviation Group announced a year-long programme of activities and humanitarian initiatives to mark 2018 as the Year of Zayed. Etihad Airways inaugurated its Year of Zayed activities recently by holding a flag-raising ceremony attended by employees. UAE President His Highness Sheikh Khalifa bin Zayed Al Nahyan declared 2018 the Year of Zayed, a nationwide initiative, which will highlight the UAE founding father’s unparalleled role in establishing the UAE Federation, and his local, regional and international achievements as well as his values and principles. 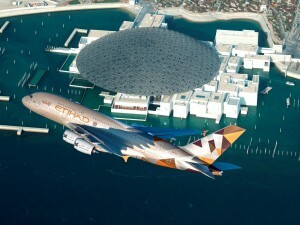 Khaled Al Mehairbi, General Manager, Etihad Airport Ground Services, said, “We are tremendously proud of the rapid growth of Abu Dhabi and the union. All the people of the UAE will always remain the most important element of our nation’s development. This was our father Sheikh Zayed’s main objective and vision. 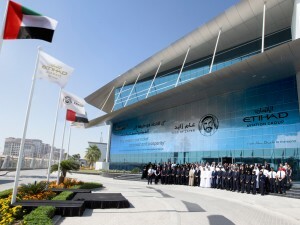 This year is a momentous one as we honour his achievements and celebrate his legacy in Abu Dhabi and around the world.” In support of the national initiative, and to reaffirm its commitment to the UAE, Etihad has launched a strategy based on the government’s four Year of Zayed pillars- wisdom, respect, sustainability and human development. 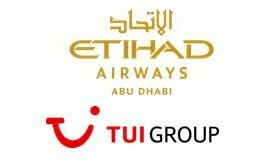 Etihad Aviation Group confirms that it has terminated negotiations with TUI AG in relation to a potential joint venture involving the leisure operations of the Air Berlin group and the German TUIfly company. 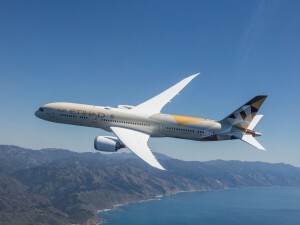 Etihad has taken this decision following many months of negotiations, in good faith, during which time the parties have been unable to reach agreement on the final nature of such a joint venture. The leisure operations of the Air Berlin group will now continue to operate as a separate business unit, under the NIKI brand. Further details of this structure will be announced in due course by Air Berlin. NIKI’s operating schedule remains unchanged with all the bookings being honoured. Customers should contact NIKI directly for any further information.